Dear TAR production – you reap what you sow. You hastily sowed a cast with perhaps a couple of decent teams among the majority of boring and unexciting ones. You labeled them “All Stars” while “Leftovers” would have been more appropriate. And you hoped for a great season?! What you reaped was a boring season and disappointed fans. The locations were alright, there were a couple of decent challenges, the animals (elephants, donkeys, Bernese mountain dogs) were as cute as ever. But without a good cast it is all lost on you. Read the Facebook comments from the fans, dear TAR people. Read the fans discussion threads. Talk to the fans. You will know. Meanwhile, the Survivor is having a nail-biting season, one of the best ever. So I can’t blame it all on CBS, it’s TAR production that’s not up to par. 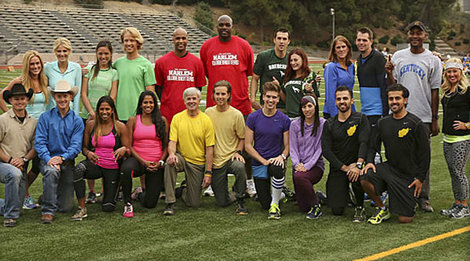 I have always been a big fan of TAR and watched every season (except the family edition). I just returned from an almost three weeks long trip to Europe, and normally it would have been unthinkable for me not to catch up on TAR episodes that I have missed while traveling. Especially since I had a few lazy, care-free days at home upon my return. But this time it was kind of “meh”. I watched the Survivor, binged on Netlix’ “House of Cards” (finished the whole season in 2 days) and didn’t even think of TAR until the finale. And speaking of the finale – one of the most boring ever! Neither the glitter of Vegas, nor the magic of David Copperfield could fix it. There were no memory challenges, nothing that would require any mental exertion, let alone mental power. Not much physical power either – unlock the locks, unscrew the bulbs. The rest was in the hands of the taxi drivers. The most drama was provided by the bickering Brenchel. Sad. The final parachute jump was a nice visual, but it would have been infinitely better if the contestants had to complete some memory challenge or mental task or solving a puzzle or something to make them earn the order in which they jumped. Alas! “Sob Story” (David and Connor) got on the ground first. They are our “All Stars” winners. Who cares if they are the first parent/child team? Who cares if David is 58 (not 60 as he whined to us when they were U-turned by Brenchel)? They are just a boring-boring team. The flowers wilt when they talk, the babies fall asleep instantly. That monotone, that boring. Petty, too. And vindictive. That’s our winners. They are also clear winners on my poll “Which team on this “All-Stars” season you find the most boring?” As of today 160 people have voted, and more than 31% of them named David and Connor the winners. The second place on that poll corresponds to the second place in this season of TAR. Jennifer and Caroline (aka “Country Singers”, aka “Over-botoxed Barbies”, aka “Lookalike Blondes”) got the second place. They might be sweet and maybe not quite as “blah” as David and Connor, but they are probably the most undeserving team ever to get to the final three. They were helped along the way many times by multiple teams. They never won a leg, not in any one of their two seasons. They got lucky twice (twice!) to be saved by a “non-elimination” leg. The third place on this season of TAR goes to Brenchel. They are not as highly placed on my poll of the most boring. Because boring they are not. They are annoying (in all fairness – mostly Rachel; Brendon is just by association). What’s with all this talk about winning the Race to have a baby? I partly blame TAR production for all this annoying “baby” talk edit. They get something catchy – a phrase, a fact, a revelation, whatever it might be – and keep drilling it into our heads again and again and again. Enough already. But other than being somewhat annoying, Brenchel is not an undeserving team. They are strong, supportive of each other. They have never received any help from any of the teams. In fact, several teams united against them. So they faced the adversity that other teams didn’t have to face. Yet they got in the final three. In my view it’s quite deserving. Anyway, what can I wish for the next season? First and foremost – an interesting cast. People who are exciting, entertaining, fun, unpredictable, not afraid of taking risks and facing adversity. Please-please-please – no “group” challenges where one team practically does the challenge for another team (or greatly helps another team). It is unfair to the other teams and boring to the viewers. Give time penalty for help from passerbys. That Roadblock in Italy where most teams had to know Roman numerals, remember? In my humble view – you ask a passerby to help with the Roadblock – you should get a time penalty. This will let contestants that DO KNOW the answer get ahead. Knowledge should be rewarded. Dumbness should not. Asking help from a passerby for a Roadblock is not the same as asking a passerby for street directions. No third-timers please. Even if they were good in their first season, in majority of cases it is all downhill from there. Besides, let us see new faces – we might discover the real stars, not the arbitrarily (by whom, I wonder? ) designated ones. Hopefully (although after this lackluster season – no guarantees) till next season, fellow TAR fans. Our numbers have dwindled. Let’s hope the next season can bring them back. This entry was posted in General, musings, The Amazing Race cast and tagged Afghanimals, Amazing Race, Brandon Villegas and Rachel Reilly, Brenchel, Caroline and Jen, Caroline Cutbirth, cast, CBS, David abd Connor O'Leary, David and Connor, Globetrotters, Herbert "Flight Time" Lang and Nathaniel "Big Easy" Lofton, Jet and Cord Rodeo Cowboys, Leo and Jamal, Phil Keoghan, Pit Stop, reality TV, TAR 24 All Stars, The Amazing Race, The Amazing Race cast, The Amazing Race production, The Amazing Race teams, TV news, winners of TAR 24. Bookmark the permalink. 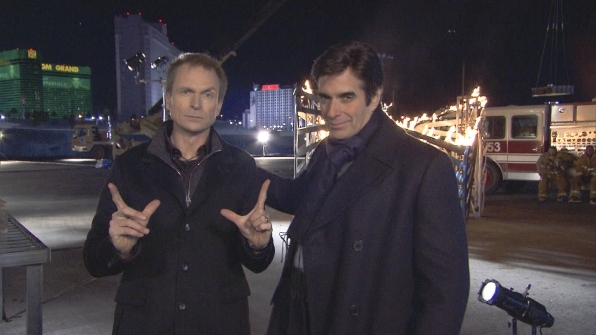 agree with you no copperfield magic could save that boring finale. i kncant believe the show can be rigged but it came across as rigged.no memory challenge?????? maybe they skipped memory stuff because of the old dad alzeimers. dont know but no fun. i aqgree with you’bout that survivor, my man tony is the rightful winner and the show was fun all the way. dont know if i gonna watch the race again, it is becoming too boring and too politically correct. but if i watch i will see you here. have a greaT summer, loved your blog! I know, it’s been a disappointing season; most of the fans I’ve talked to so far agree on this. The lackluster season even made Phil appear this way – have you noticed how he somehow looked older and worn out (while dimply Jeff Probst of Survivor is as youthful and debonair as ever)? I have always been a big fan of TAR and an optimist, too – so I will be watching the next season and hoping for something more fun. I am not sure though if I will return to blogging. To blog about something – it has to excite you, inspire you, not make you yawn. So – no promises, we’ll see.